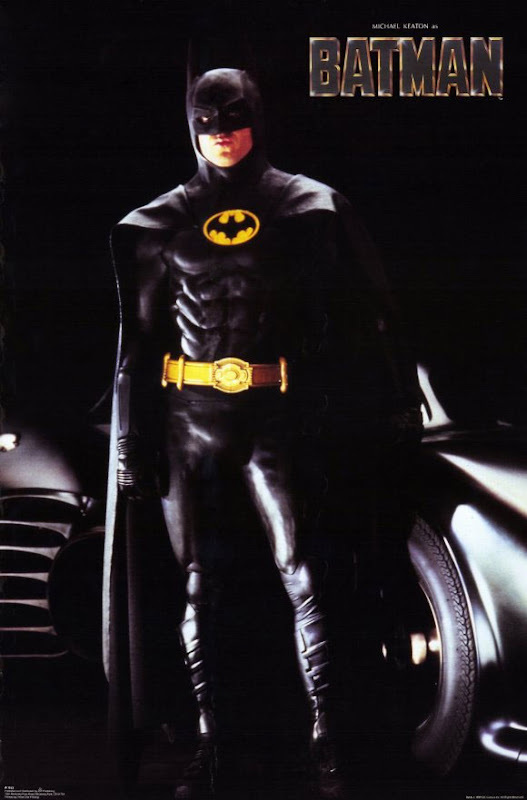 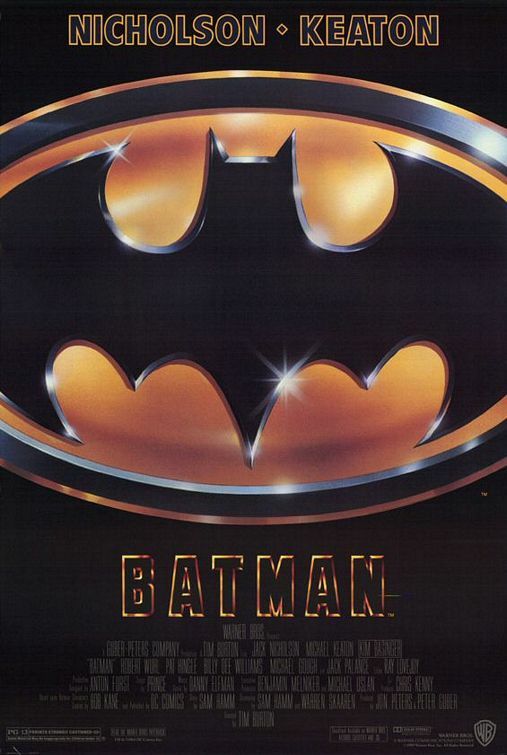 In Tim Burton's 1989 big screen adaptation of the DC Comic book hero, Michael Keaton wore the suit of the iconic Caped Crusader. 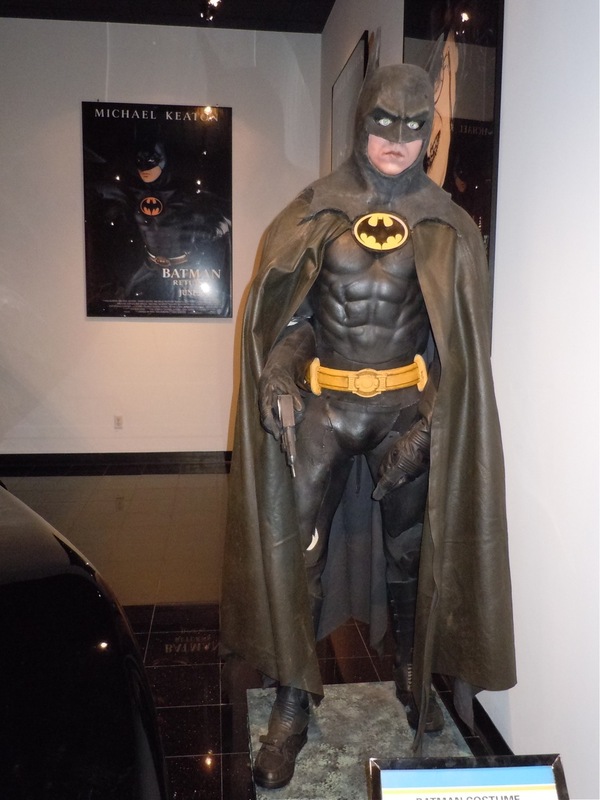 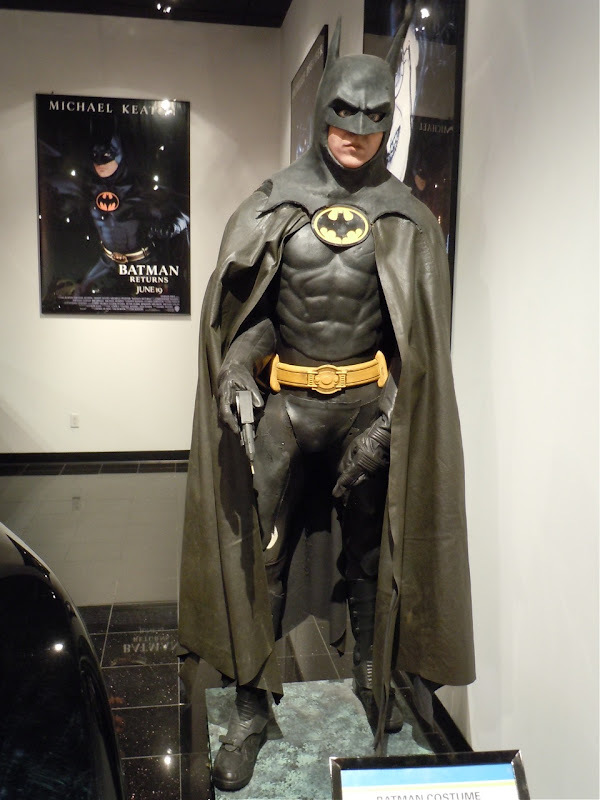 This actual costume worn by Michael Keaton in Batman and original Batmobile used in both of Tim Burton's movies were photographed on display at the Petersen Automotive Museum in L.A. on March 31, 2011. 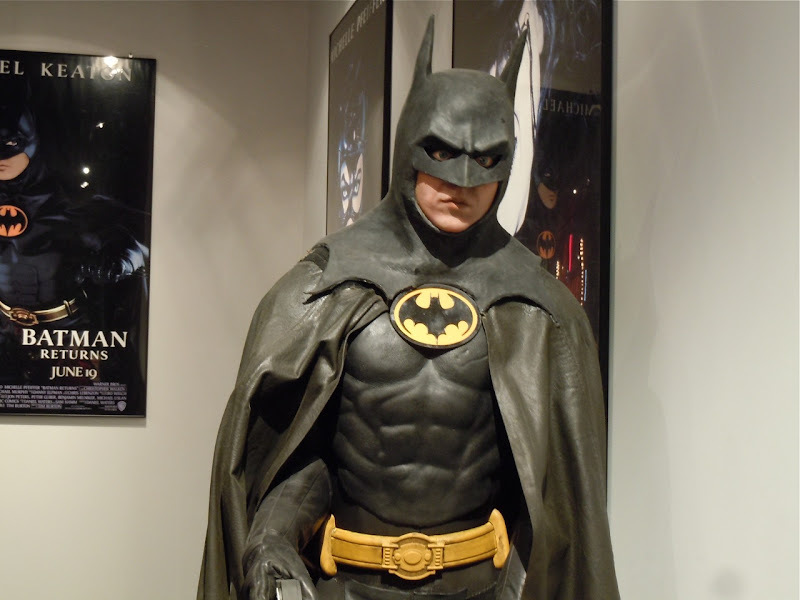 Bob Ringwood was responsible for Costume Design on the Batman movie and for taking him from his traditional superhero tights to the darker armoured version cinema goers are more familiar with nowadays. 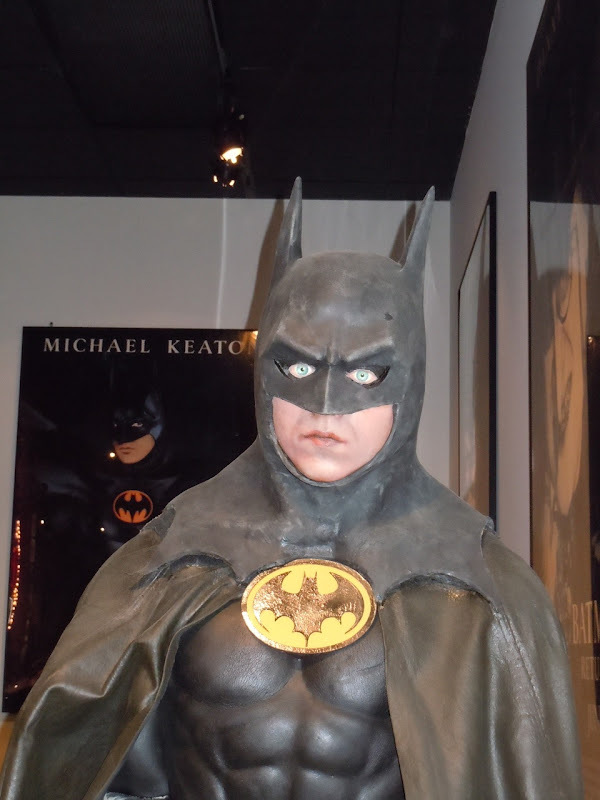 This original Bat-suit worn by Michael Keaton is one of just two surviving screen-used costumes and is completed by the only surviving screen-used Batman headgear, which is eerily fitted over a silicone head from an actual Michael Keaton life cast. 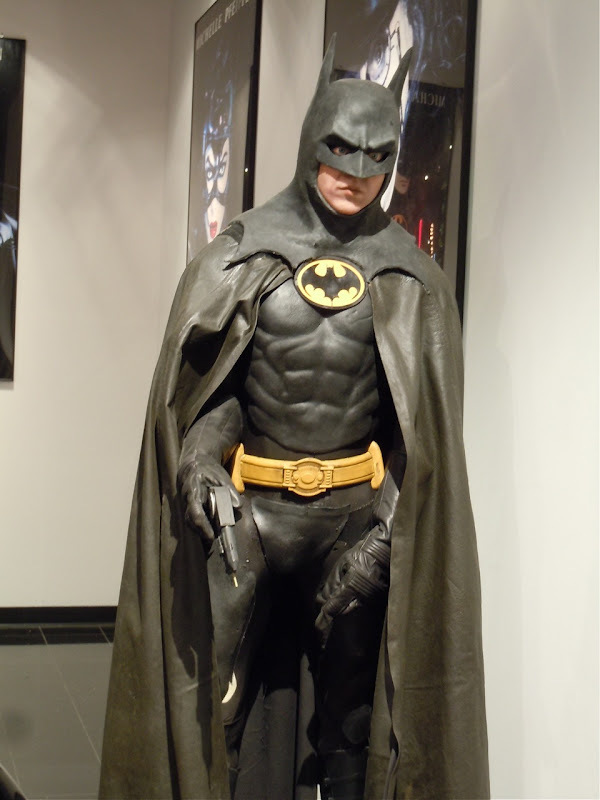 This menacing costume is made from molded foam latex and was apparently sprayed black each time it was worn to assure a consistent appearance in the movie. 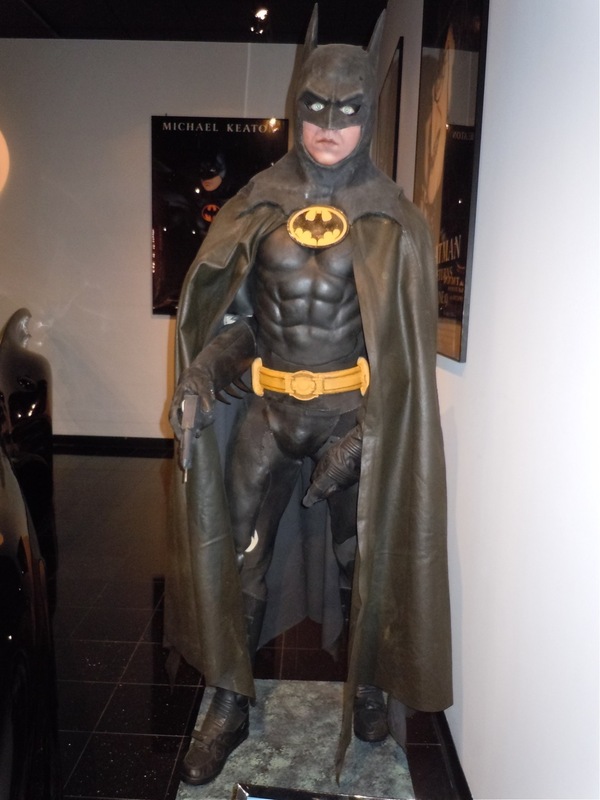 The Bat-gloves sport urethane wrist armour and films used in the film's production, whilst the Batgun was cast from original studio molds. 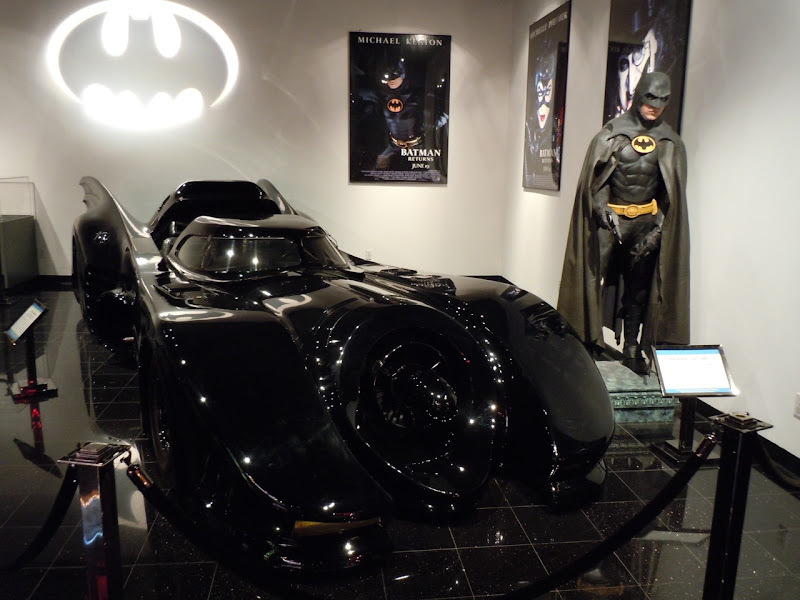 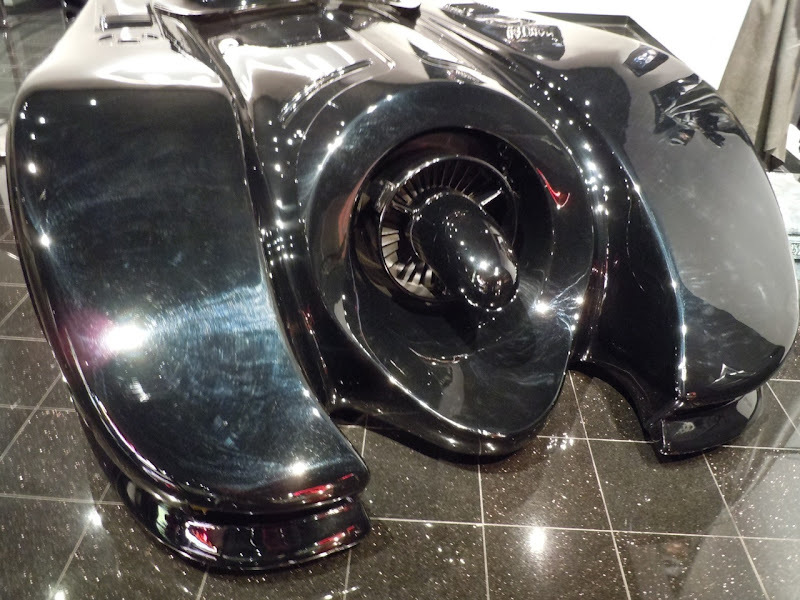 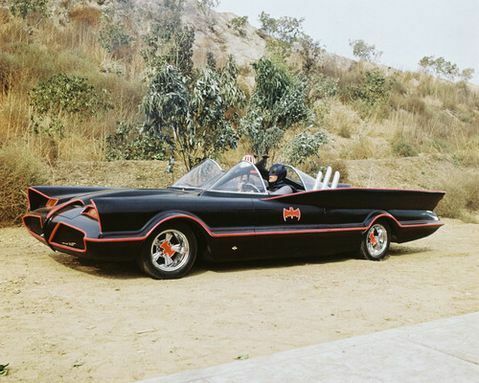 This supercool Batmobile is one of three studio authorised vehicles commissioned for publicity and promotional purposes after the film's release. 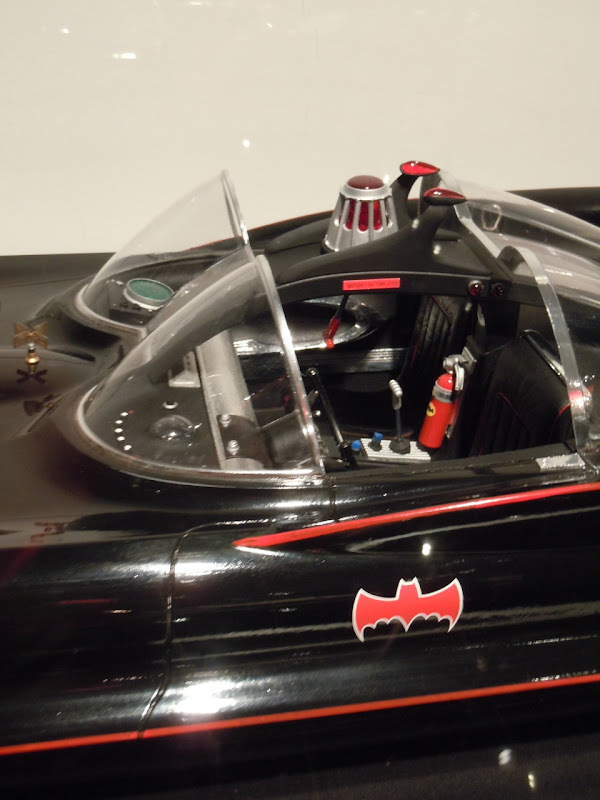 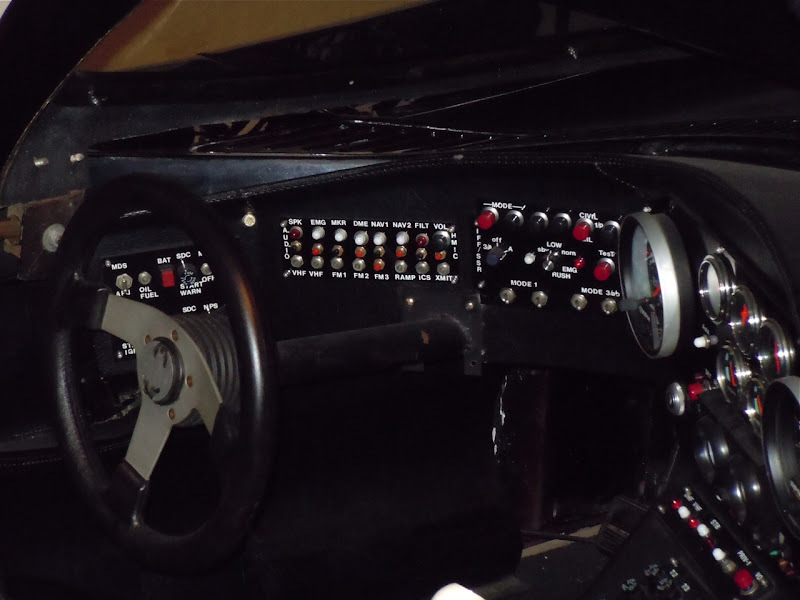 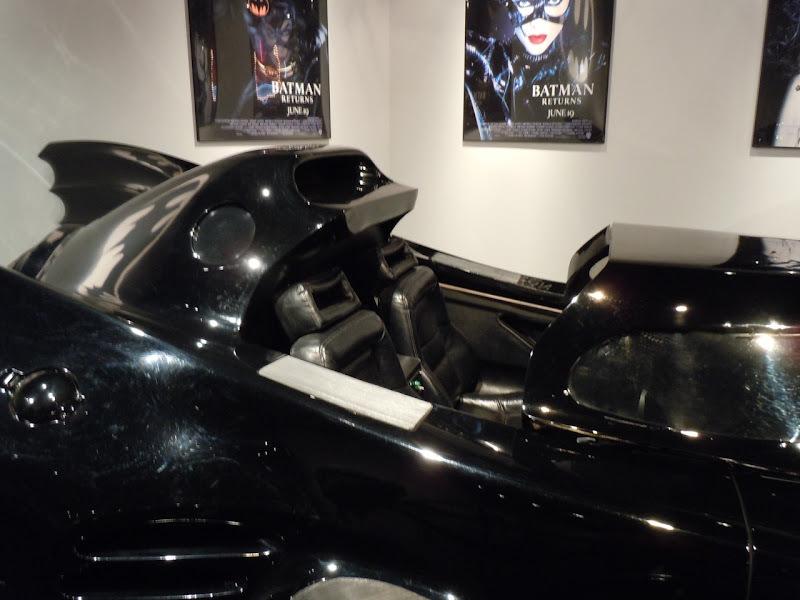 The Batmobile has been featured here at Hollywood Movie Costumes and Props before, but not with the canopy open so that you can see the interior and the control dashboard. 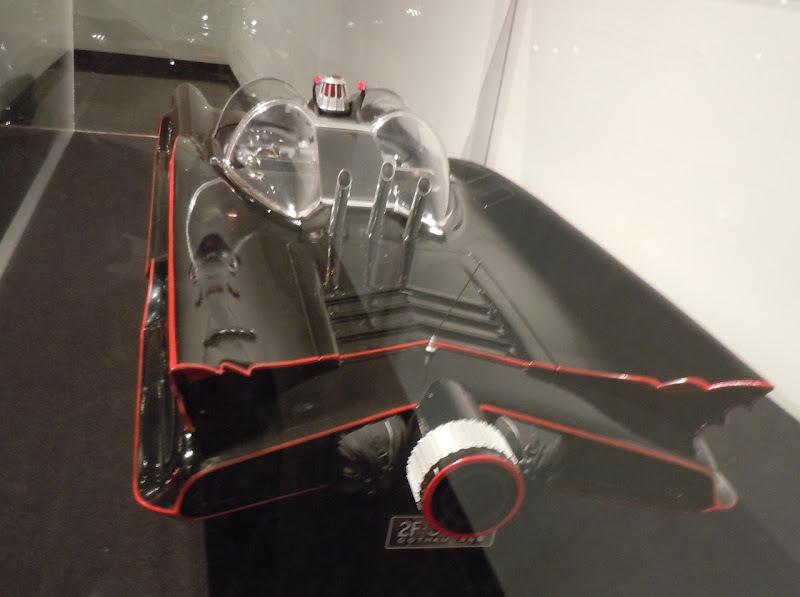 Also on display was this scale model of the Batmobile from the 1966 TV series which was originally built by George Barris. 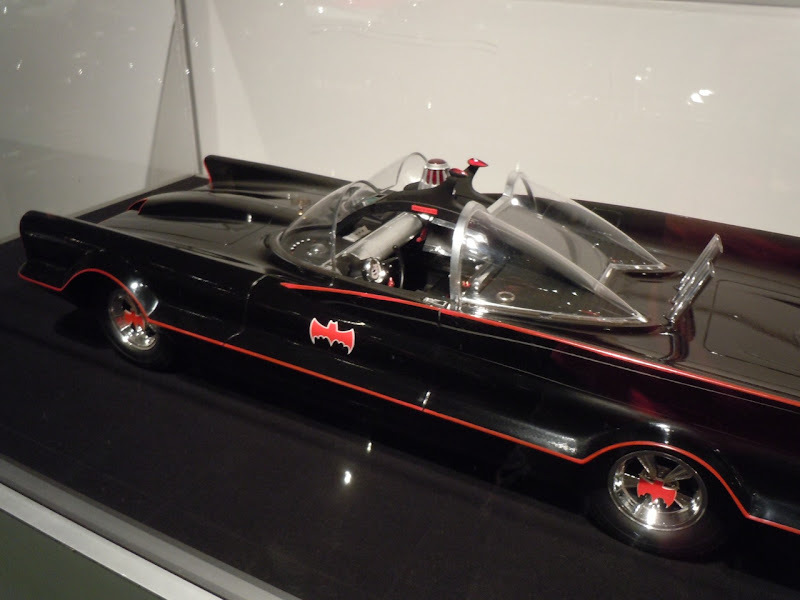 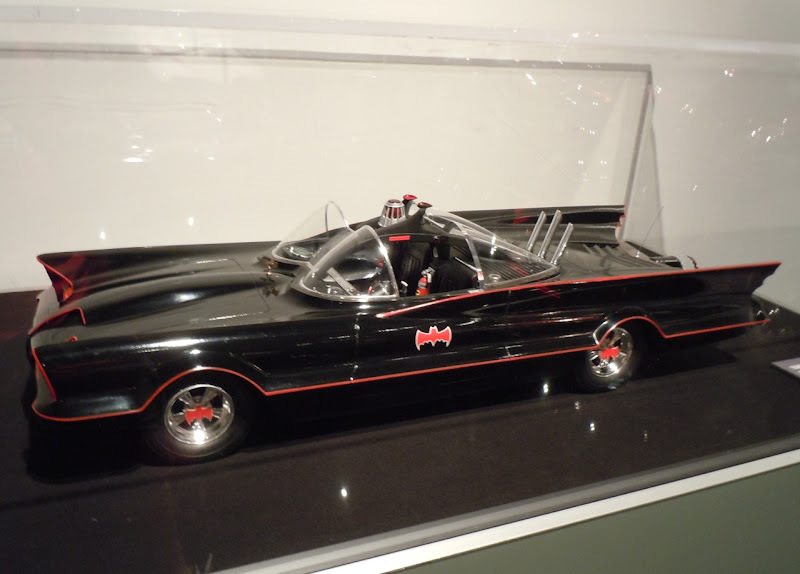 The original Batmobile was remodeled and transformed from a Futura in six weeks by George Barris for the 1966 TV show. 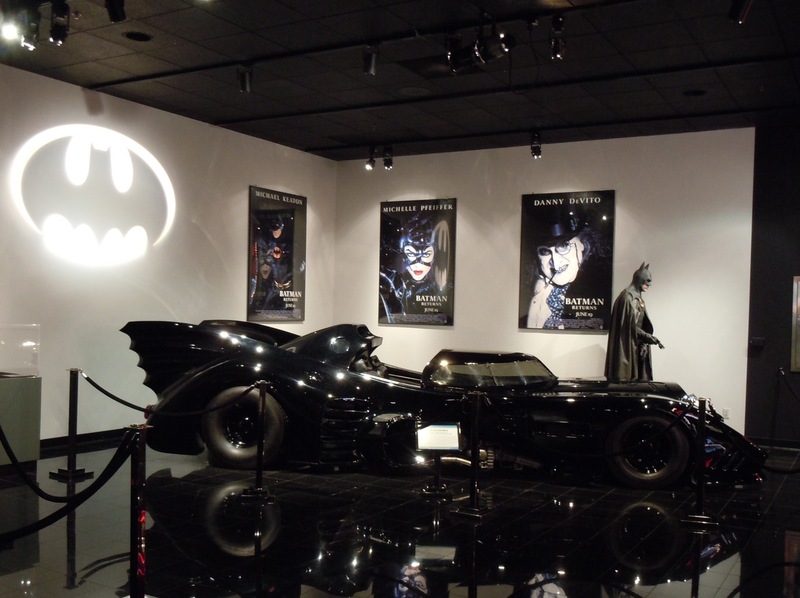 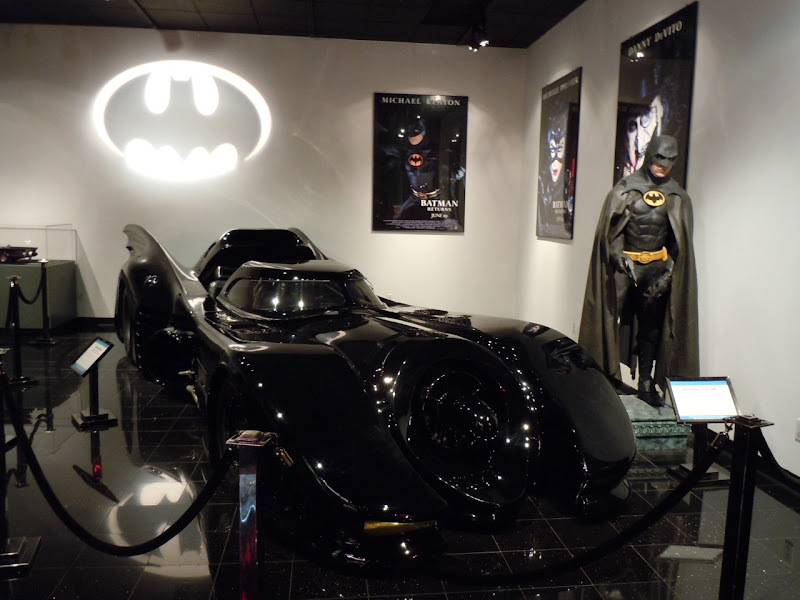 If you're a fan of the original TV show be sure to check out these pictures of the Batcave in L.A.'s Griffith Park. 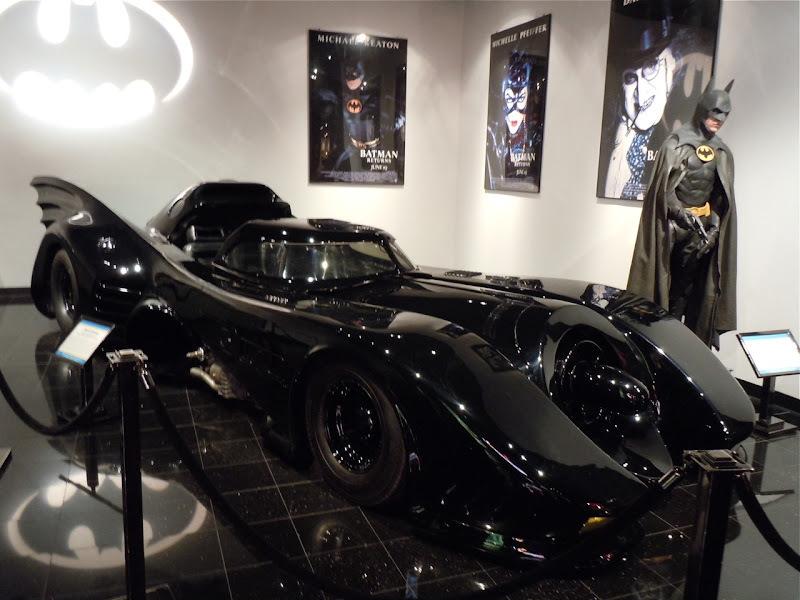 How much money would it cost tax and all to personally own the bat-mobile and complete bat-man costume? 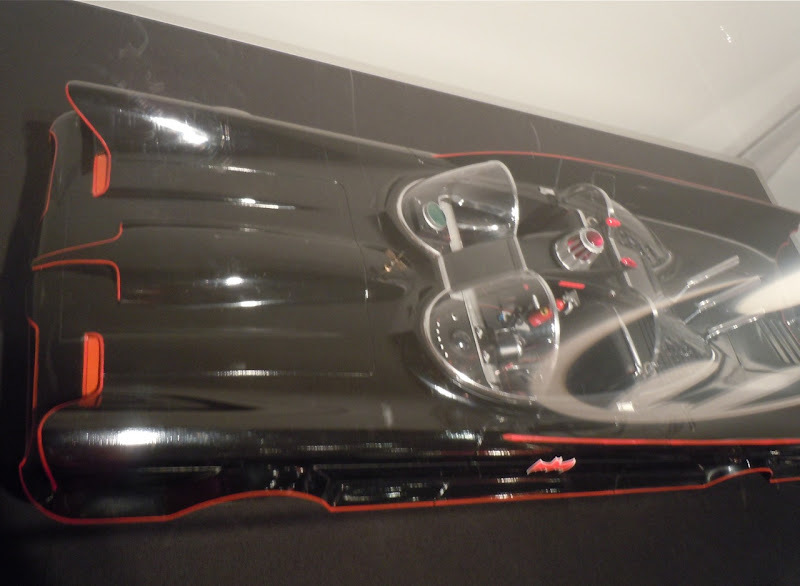 by George Collester of Jellico, Tn.